The Best of the Week - 03/02/2012 | What Hi-Fi? Welcome to the Best of the Week – your essential guide to what's been happening on whathifi.com. It's February 3rd and today marks the Day the Music Died, as immortalised by Don McLean in his song American Pie. 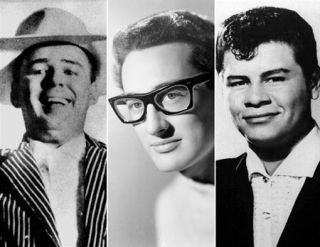 On this fateful day in 1959, the world lost three of rock and roll's pioneers, Buddy Holly, Ritchie Valens, and J. P. 'The Big Bopper' Richardson, in a plane crash near Clear Lake, Iowa. In happier news, Dave Davies of The Kinks, responsible for the signature riff on the hit single You Really Got Me, turns 65 today, while Willow and Harry Potter star Warwick Davis turns 41. Felix Mendelssohn, the German composer who wrote the Overture for A Midsummer Night's Dream, was born today in 1809, while in 1994, the space shuttle Discovery blasted off into space with a woman, Air Force Lt. Col. Eileen Collins, in the pilot's seat for the first time. Meanwhile on the Forum, we have been discussing a 'green blob' problem found on Panasonic plasma TVs (Panasonic has now issued an update for this), what vinyl records you've been listening to, and raving about the Monitor Audio Apex speakers. Just click here to access the Forums or sign up, and here to subscribe to the magazine. And you can also digitally download the latest issue of the magazine here.